The Shunya Masa Rishis had stored a lot of energies on Earth when they were here in December-January. Some of these energies were released in the past few months. Much of the remaining will be released to the Earth during June. 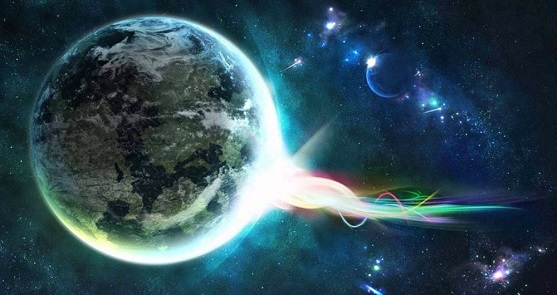 The influence and impact of these energies will gradually materialize. The Rishis will monitor the impact of the energies on Earth and observe how humanity deals with this. They hope that more percentage of humanity can accept and absorb these energies. It will lead to great improvements in their lives. We shall also have the energies and guidance from Lord Kalki whose birth anniversary is observed this month. The energies of Solstice and Purnima this month are very important as well. They will be primarily cleansing energies and will help each individual take important decisions and also in implementing them. The energies also act as a lubricant, enabling a smoother process. During the period between Solstice and Purnima, the Rishis will be releasing special energies and Light from Goddess Saraswati and Lord Brahma. These energies help humanity to understand the transition period better and educate themselves further. It will also aid in gaining clarity and better insights, and on how to deal with the changes. These energies also help in absorbing other important energies pertaining to this period. The present situations may be tough and difficult to cope up for some. Connect and use a lot of Light for all such situations. It will help you. Different colours help with different aspects. We had mentioned using dark-Blue Light in the previous month’s article to deal with the tough situations. Use Green Light to feel more optimistic and positive. It will also help you curb the impulsiveness and to act with maturity. The Rishis also reiterate the points mentioned earlier. This is the mirror phase where we can identify and learn about our shortcomings from the various incidents in our life. This is the phase where many things get shaken up. There are always hidden messages and the sooner we learn, the easier it is for us to grow. Be open and observant. Our Earth requires more healing and nurturing especially in this phase. And at the present tough period, most of the energies do not reach the individuals and places that need it the most. The Light will give relief and decides how to heal and nurture. The Rishis suggest the following technique for those who are interested and have time to spare. The advantage of using this particular Light is that it will not rebound back on the individual when the respective place/people do not accept. Duration— 7 minutes to 30 minutes. Imagine dark-Purplish-Blue Light coming from above and pass the same Light to the whole Earth first. Then imagine the Light going to all the continents one by one and finally imagine the Light in the equatorial belt. Imagine the Earth to get healed and nourished in the Light. Keep practicing this for the entire duration. There is no mantra. The energies of Amavasya will be similar to the previous month, which will be of the cleansing and churning in nature. These energies also help the individuals to identify difficulties, suffocations and blocks. Some of the energies released will be specific to the individuals. They help shape events for the next six months. Relax, be open and accept these energies during your Meditation. With the help of Light, we can be balanced in our approach to the present processes. We practice the technique of Amavasya to connect to the special energies as well as our ancestors. The whole humanity, especially the Spiritually awakened ones await the arrival of Lord Kalki eagerly. He will come at the appropriate time. But the preparations for this have been going on for many years both at the astral and physical levels. Lord Kalki is presently very active at the astral level. He may not be easily visible or can be difficult to connect to, as he is involved in various projects and doesn’t want to be disturbed. He will be available on His birthday. His energies and Light will be available from the 16th for some days. It is a rare opportunity for us to connect to Him and experience these. Offer your love, gratitude and respects. You can also place your prayers, concerns to Him. Be patient and listen to any answers you receive. It may come as your intuition or even as energies and Light. After this, imagine bright-dark Purple Light coming from lord Kalki and allow the Light to fill your body completely. Imagine your body to be shining and radiating in this Light as the meditation progresses. Keep experiencing the Light throughout the Meditation. Repeat the mantra “Om Kalki Shaktiyai Namaha” silently. On this day, a lot of His energies are expected to be anchored to the Earth. Be aware of this and open. His energies will help us immensely in this period and to face the pressures of the Pralaya period. The energies will also be used to enhance the Pralaya period and to fight and destroy the darkness. His energies along with the energies that will be released later in the month will help humanity prepare for this period, understand better about the Light Age and the steps required in our individual transformation. The energies also educate and guide us towards balancing our life, and balancing the material and spiritual aspects. The energies of this June Solstice will be intense and strong. Important events will take place and the Rishis have been working hard since Shivaratri for this. These special energies will influence many of the upcoming events on Earth and the individual’s life. Begin with 7 rounds of Pranayama with bright-Orange Light. Then imagine bright-Orange Light coming from above and allow it to fill you completely. Experience it for some time. Then send the same Light which if flowing from above to your Overall life, upcoming events and situations. Imagine all this getting illumed by the Light and shining. Repeat the mantra “Om Ayanaya, Shakti Tejasayai Namaha” silently. The energies relating to Cleansing, clearing rigidity and sublimating the grosser will also be anchored. Be aware of these as well and be open to receiving them. These energies will also help in strengthening our physical and mental health. It is a wonderful day for Prayers and Sankalpas (affirmation). Spend time before this day in introspection and keep these ready so that you can utilise the wonderful opportunities that this occasion presents. Contemplate on your life actions, behaviour and thought processes. They reveal and educate a lot about ourselves. The energies of Purnima will also stress in bringing balance in our lives between the material and spiritual aspects. This is important. With a level of balance, the energies will then enable better connection with the Divine and in Internalizing. This Purnima is also connected to the next month, when Aashada Masa begins. Some special energies from ParaBrahma will be available on this day. There are also three eclipses during this period (July-August) and their influence begins.